Well we made it to the weekend... at last! My class is elbow-deep into our current unit of inquiry about how differing climates affect how we live. They are doing lots of research on their iPads about different climate zones. 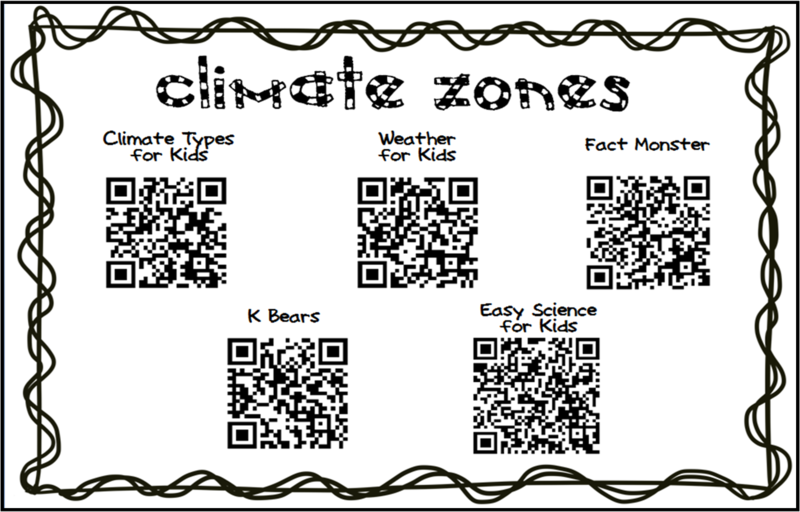 Here's a sheet with QR codes for suitable child-friendly websites related to world climate zones to help guide their research. Click here or on the image to download from Google Drive for FREE!